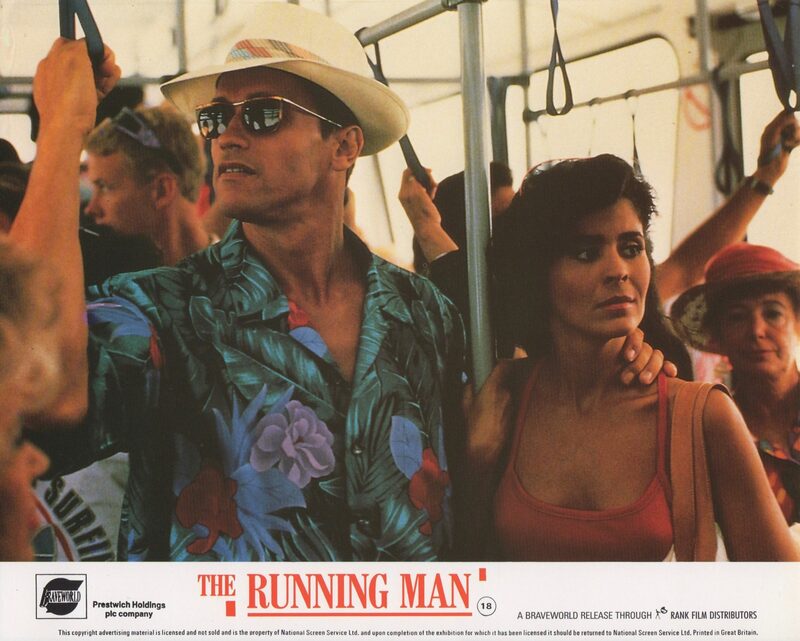 The Running Man is a 1987 film directed by Paul Michael Glaser. It was produced by George Linder and Tim Zinnemann with Steven E. de Souza writing the screenplay. 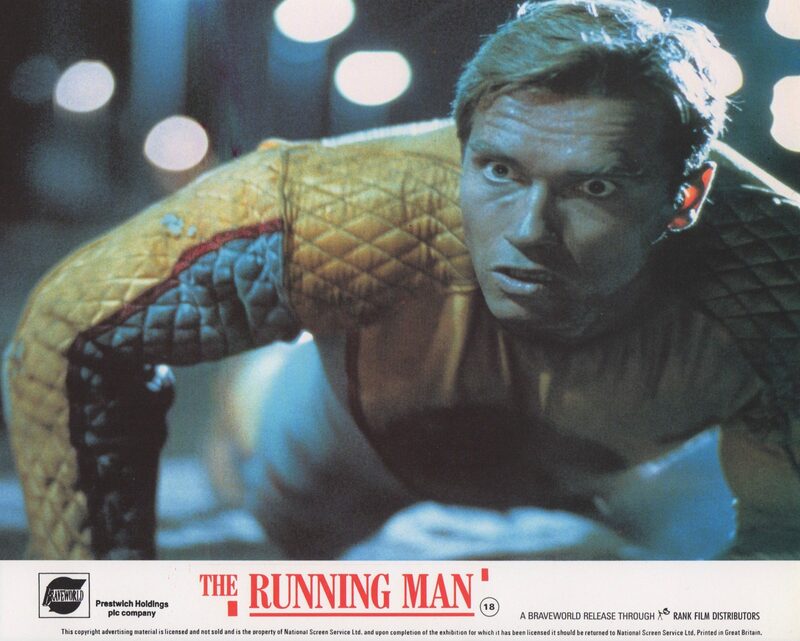 The film is based on the 1982 novel The Running Man by Richard Bachman who is a pseudonym for Stephen King. 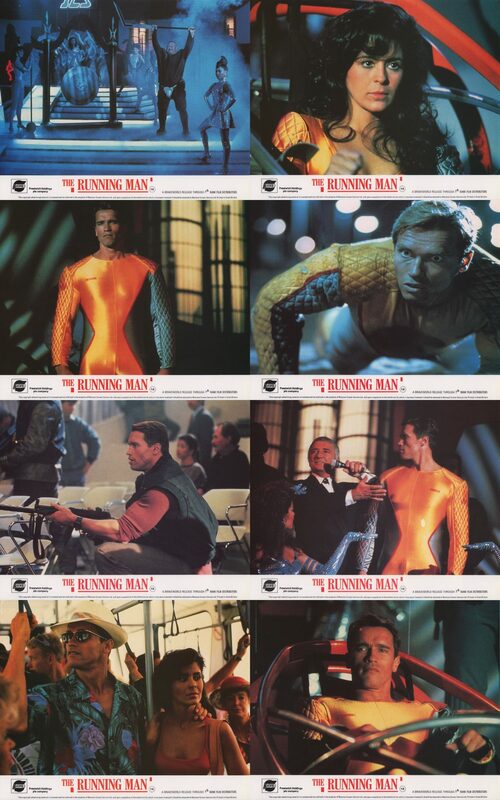 It stars Arnold Schwarzenegger, María Conchita Alonso, Jesse Ventura, Jim Brown and Richard Dawson. 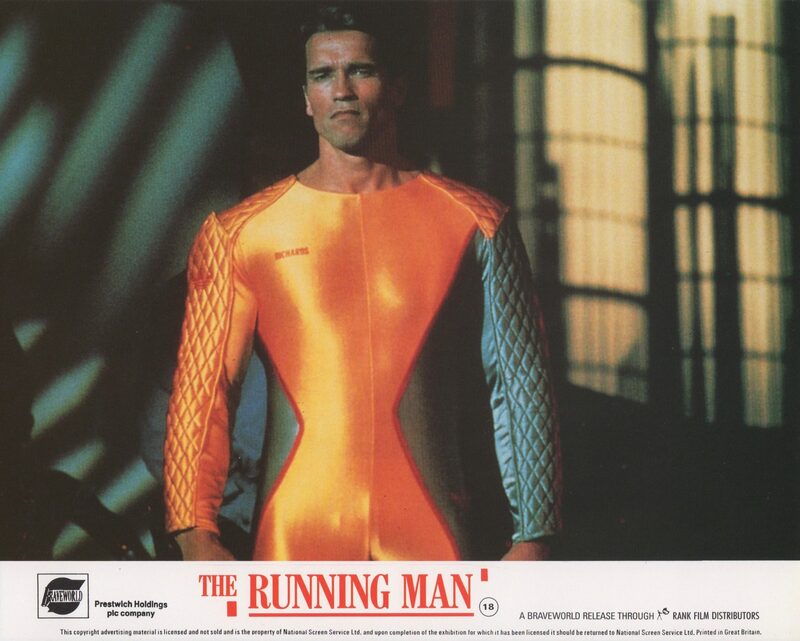 The storyline is based around a television show called “The Running Man”. Set in the dystopian United States between 2017 and 2019, the show is about convicted criminals who are called ‘Runners’ and the hunters, a gang of professional killers who are called ‘Stalkers’. The prize should the runners win and escape a near-certain death is a chance to be pardoned by the totalitarian police state that the United States has become. 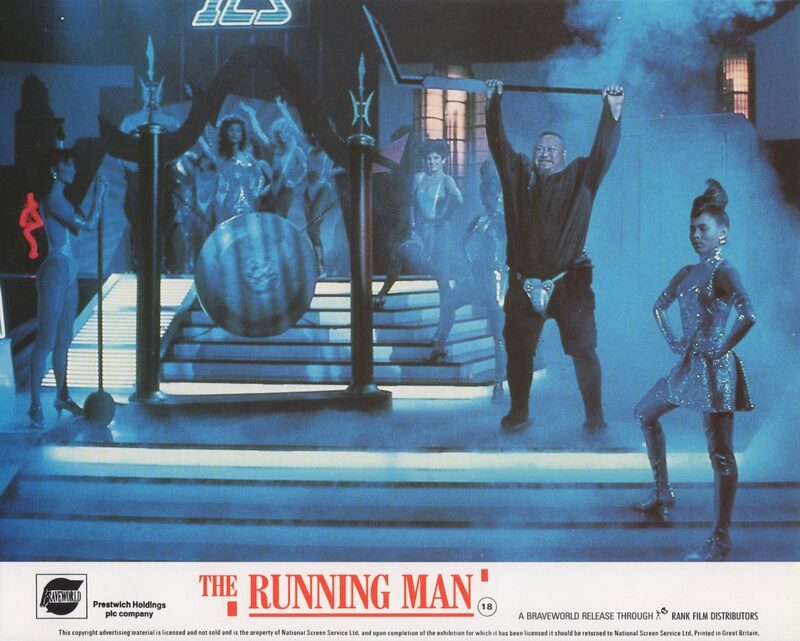 The original director for The Running Man was Andrew Davis but he was fired a week into filming and replaced by Paul Michael Glaser. Following the sacking, he went on to director Above The Law, The Package and The Fugitive. 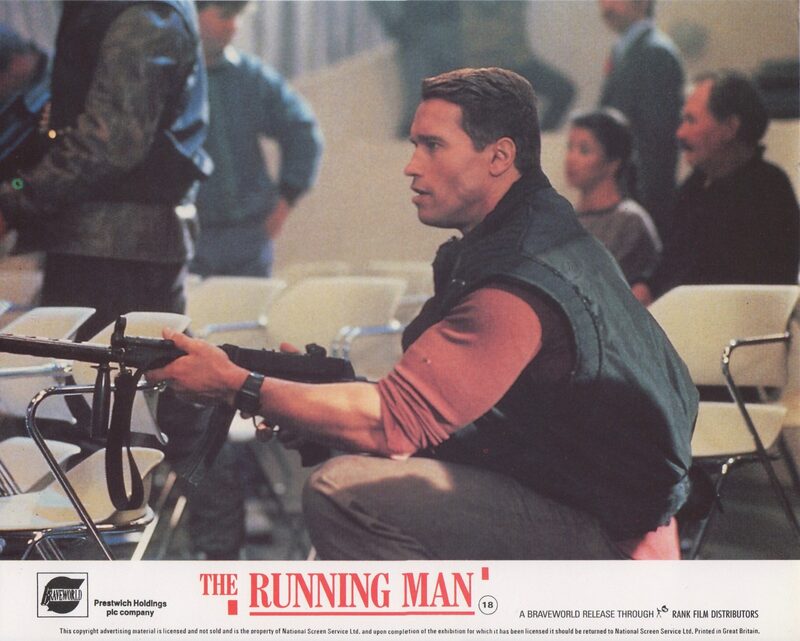 Arnold Schwarzenegger has stated it was a “terrible decision”, as Glaser “shot the movie like it was a television show, losing all the deeper themes”. He believes this damaged the film. 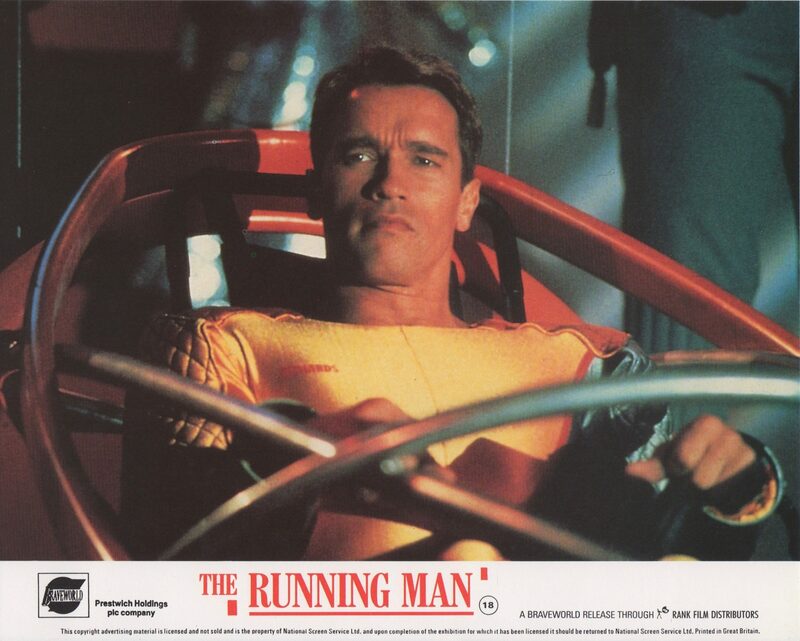 The Running Man was produced on an estimated budget of $27m. In its opening weekend the film took $8,117,465 in the US and grossed $38,122,105 in US box office receipts, which made the film a financial successful.